Early career Mark Morrison's first official recording was the 1993 vinyl release, Where Is Our Love, pressed on his own private Joe'Mel label. Main career In mid-1995, Morrison released his debut single, Crazy, which became a Top 20 hit in the UK. The follow-up single, Let's Get Down, also entered the Top 40. They were followed in the spring of 1996 by Return of the Mack which became a smash international hit spending two weeks at #1 on the UK charts. Morrison became the first black male solo artist to reach #1 in the 1990s. Mark Morrison's first official recording was the 1993 vinyl release, Where Is Our Love, pressed on his own private Joe'Mel label. In mid-1995, Morrison released his debut single, Crazy, which became a Top 20 hit in the UK. The follow-up single, Let's Get Down, also entered the Top 40. They were followed in the spring of 1996 by Return of the Mack which became a smash international hit spending two weeks at #1 on the UK charts. Morrison became the first black male solo artist to reach #1 in the 1990s. His debut album, also titled Return of the Mack, followed and became a multi-platinum success. It reached number four in the UK chart, and sold 3 million albums worldwide. It spun off several more hit singles over the next year. Crazy (Remix), Trippin', Horny, and Moan & Groan would all reach the UK Top 10 making him the first artist in British pop history to have five Top 10 hits from a debut album. Although his career was going well, Morrison was constantly in trouble with the law. In 1997, he was imprisoned the same year he received four Brit Awards nominations, Mercury Prize nomination, an MTV Europe Music Awards nomination, and five Music of Black Origin Awards (MOBO) nominations as the single Return of the Mack began to climb its way to #2 on the American Billboard charts receiving platinum status en-route. It stayed on the Billboard charts for an incredible 25 weeks. He also performed at the 1997 Brit Awards. The performance at the Brit's influenced WEA and Morrison to release Only God Can Judge Me, a 9-track EP which contained live performances, interviews, prayers, and three full-length songs including Who's The Mack! which reached #13 in the UK. Morrison has faced various criminal charges during his career including a 1997 conviction for attempting to bring a firearm aboard an airliner for which he served three months just as his hit song, Return of the Mack, began rising up the US Billboard charts. In 1998, he failed to appear in court on charges of possessing an offensive weapon, choosing to instead fly to the West Indies island of Barbados. He was arrested and remanded into custody upon his return to the United Kingdom. He was later cleared of the offensive weapon charge. He was convicted of affray for his part in a brawl resulting in one fatality and sentenced to community service. Morrison later was incarcerated in Wormwood Scrubs for a year for paying a lookalike to perform his court-appointed community service in his stead, while Morrison himself went on tour. While in prison, Morrison reportedly converted to Islam and attempted to change his name to Abdul Rahman. Also in 1998, Morrison was banned from driving for six months and fined ?1,380 after twice being caught driving without a licence. In 2002, Morrison was arrested on suspicion of kidnapping and car theft. He was released on bail but a policemen was later arrested on suspicion of taking a bribe from Morrison in return for his release. Morrison failed to appear in court to face the charges and a warrant was issued for his arrest. In 2004, he was arrested and spent a night in custody after a fracas started when his medallion went missing. In 2009, Morrison was arrested for an assault in London. Morrison appeared on the 1999 Brit Awards where he presented an award, introduced Whitney Houston and announced his return to music. In September 1999, a single titled Best Friend featuring Connor Reeves & Gabrielle became Morrison's ninth Top 40 hit single, reaching #23 on the UK Singles Chart. The following year, it was announced by Billboard that Morrison had signed a five-year worldwide deal with Death Row Records founder Marion "Suge" Knight, making him the first, and only British artist to be signed with Death Row Records. He later signed to soccer player Kevin Campbell's 2 Wikid label in 2003. His only release for the label, a single entitled Just a Man/Backstabbers, was a minor UK hit, reaching #48 in the UK Singles Chart in August 2004. In May 2006, Morrison released the limited edition CD/DVD album entitled Innocent Man in the United Kingdom on his private label, Mack Life Records/Mona Records. The title track, Innocent Man, featuring DMX was released in March 2006. It was well received and reached #46 on the UK Singles Chart. 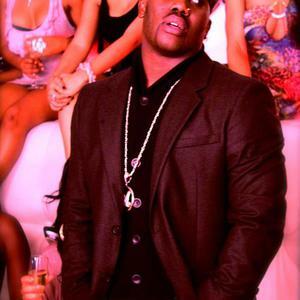 In 2007, he was featured on hip-hop artist Cassidy's single titled Innocent (Misunderstood) from the B.A.R.S. The Barry Adrian Reese Story album. The track sampled Morison's vocals from the song, Innocent Man, and charted on Billboard's Bubbling Under Singles chart. In 2008, Morrison announced the release of a 'best of' compilation, King of British R&B: The Best Of.. Mark Morrison, although it remains unreleased. In 2010, he announced the planned release of a new album entitled I Am What I Am which has a tentative release date of 2012. Plans for a world-wide tour to accompany the new release was also announced. In 2012, Mark Morrison appeared as a guest feature on the Houston rapper Trae Tha Truth's "I'm On 2.0" which features notable rappers Big Krit, Jadakiss, J. Cole, Kendrick Lamar, B.O.B, Tyga, Gudda Gudda and Bun B.